The Facilities Services Division is committed to the Los Angeles Board of Education’s mission of All Youth Achieving and Los Angeles Unified School District students being college and career ready. In placing that commitment into action, the Facilities Services Division is consistently exploring opportunities that enhance student learning through the incorporation of programs that provide access to explore career pathways in a construction related environment. 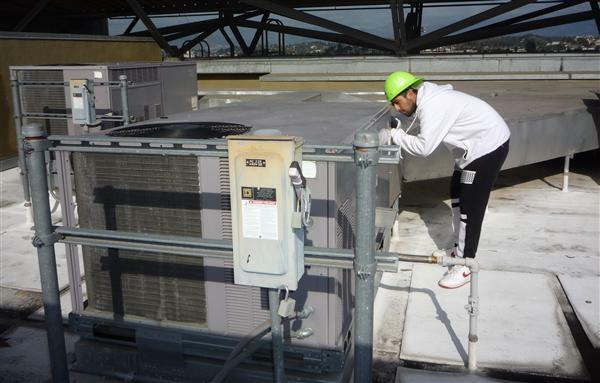 As a result, the Architectural and Engineering Services Department created the Prop 39 Student Energy Auditor Training program (SEAT program). The SEAT Program was developed through collaboration between LAUSD’s Architectural and Engineering Services Department and the Work Experience Education Office, the Los Angeles Conservation Corps (LACC) and the California Conservation Corps (CCC). ​The California Clean Energy Jobs Act (Prop 39) makes the SEAT program possible. The California Clean Energy Jobs Act makes changes to corporate income taxes, and provides an annual allocation from the State’s General Fund to California schools for five fiscal years beginning with the 2013-14 fiscal year to improve energy efficiency. Under Prop 39, one goal is to train Californians for entry-level employment and create career pathways for youth and veterans via improved qualifications for energy-related occupations, state-certified apprenticeship programs, community college career programs and direct job placement. 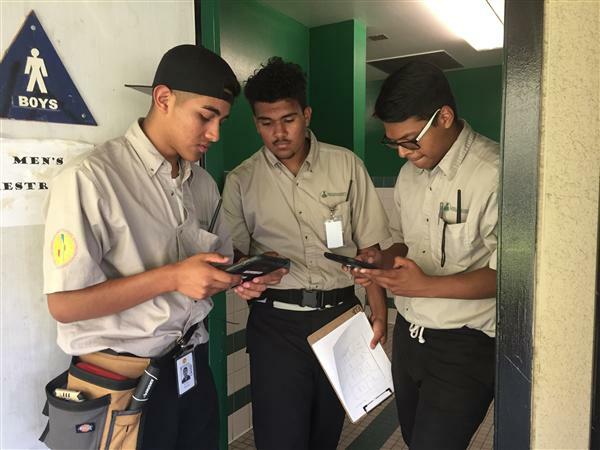 LAUSD, in keeping with the intent and spirit of the legislation, collaborated with the California Conservation Corp and selected the Los Angeles Conservation Corps through a request for proposal (RFP) process with the goal of providing greater access to training opportunities for LAUSD students in the energy management field. The program intent is to provide applied skills training that will familiarize and prepare youth to enter into the expanding energy management industry. 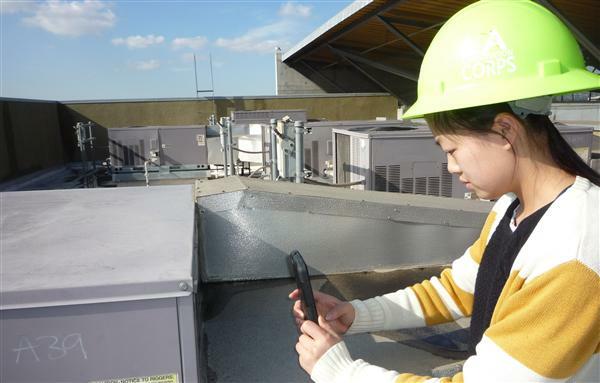 Students will learn to inspect and survey building energy systems and functions, evaluate appropriate energy conservation measures, and learn the importance of conserving natural resources. Additionally, students will gain important tools needed to promote their skills such as resume writing, interviewing techniques, workplace etiquette, and professionalism.